Weigela Red Prince are compact and dense deciduous shrubs with round growing habit, perfect for hedging and screening garden use. These are easy to grow bushy shrubs that need low maintenance and upkeep. They bloom beautiful sets of deep red flowers in late spring and summer that will add ornamental floral features to your garden. These are medium-sized shrubs that are most suitable for flowering border shrubs. Weigela shrubs are known for their gorgeous trumpet-shaped flowers that bloom in clusters. Red Prince produces deep red flowers that look very elegant and attract hummingbirds. These flowers look even more brilliant over dark green ovate to elliptic leaves of Red Prince that will instil life into your garden all summer long. Often, Red Prince will repeat bloom in late summer which will extend the blooming period. These are hardy, carefree and low maintenance border shrubs that will decorate your gardens with flowers each season. Plant them in full sun and watch how the blooming performance is augmented and enriched. Red Prince Weigela loves sunny spots in the garden, planted in a well-drained moist soil. Keep the roots of the plant cool by adding a layer of mulch made of composted bark. Moderately water the shrub in summers and dry season. Once established, the plant will be able to cope with neglect and mature into forgiving shrubs. 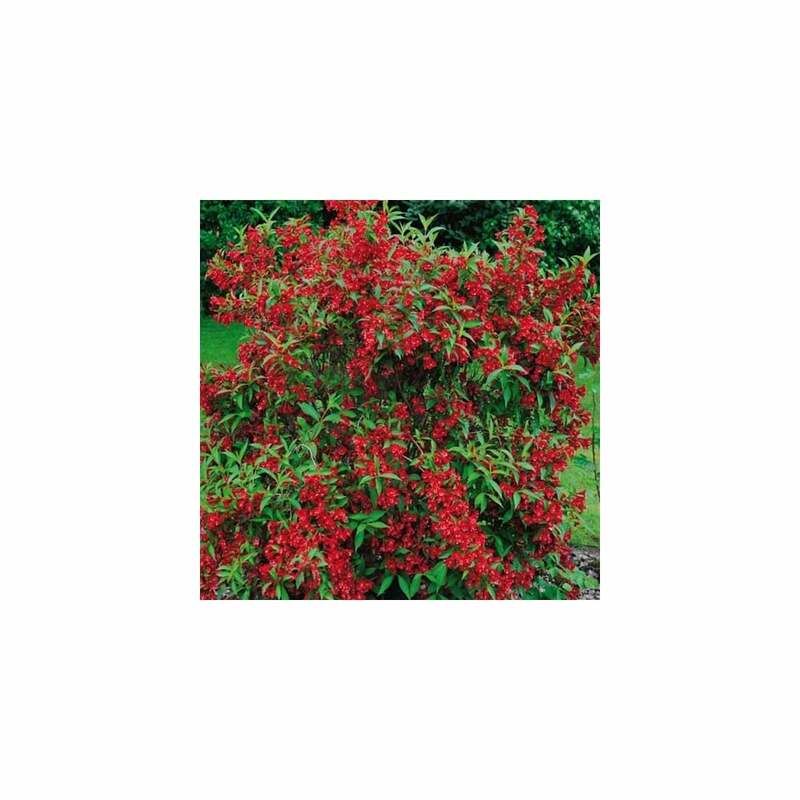 Red Prince Weigela is an excellent flowering plant for groupings in borders or rather grow it as a specimen plant. It is suitable as hedges in cottage gardens and informal gardens. It is an effective foundation plant with lustrous foliage and flowers.